Working on a bathroom remodel? Updating a newer or older home with personal taste and individual style? Michael David Cabinetry and Design, LLC can help you to create that unique, individual, “just yours” bathroom vanity, cabinets, & storage that makes your space truly elegant, efficient, and inviting. Older homes can be especially challenging to update and remodel, at Michael David Cabinetry and Design, LLC we will custom design, build and install a vanity, cabinets, & storage that will complete your project in a truly individual way. 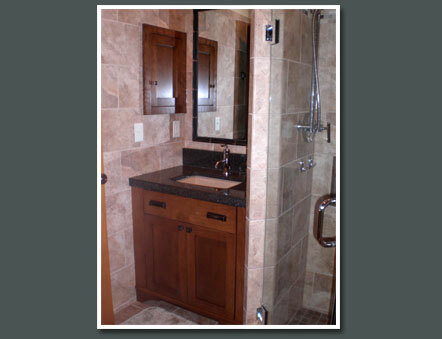 To create a custom bathroom takes thought and careful planning. Micheal David Cabinetry and Design is here for you from beginning to end. We will listen to your thoughts, concerns, ideas, and initiatives so that we can working together to create the bathroom that looks great and inviting for you and your family.